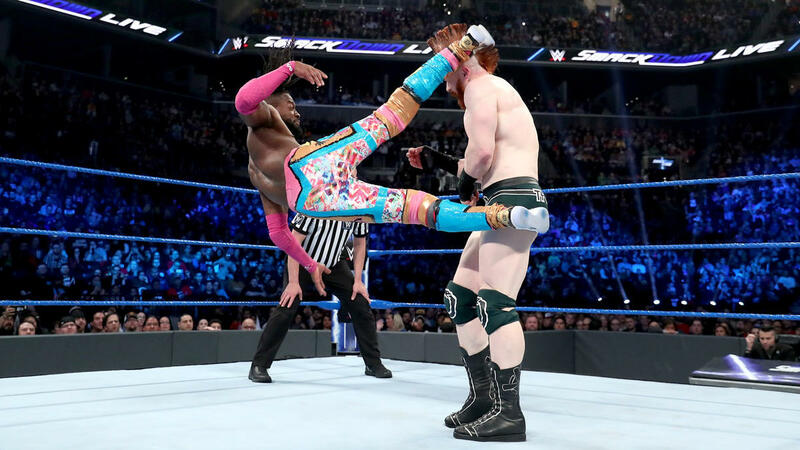 After an exciting first night of the 2019 Superstar Shake-up, things are only going to get crazier tonight on SmackDown LIVE. WWE Chairman Mr. McMahon has promised to reveal the biggest acquisition in SmackDown LIVE history tonight. What major name will be joining Team Blue? Find out as the Superstar Shake-up continues on SmackDown LIVE, tonight at 8/7 C on USA Network! The first night of the Superstar Shake-up was thrilling, to say the least. Although SmackDown LIVE is saying goodbye to Superstars like AJ Styles, The Miz, Rey Mysterio and Naomi, there is still plenty of intrigue as to who will be joining Team Blue. 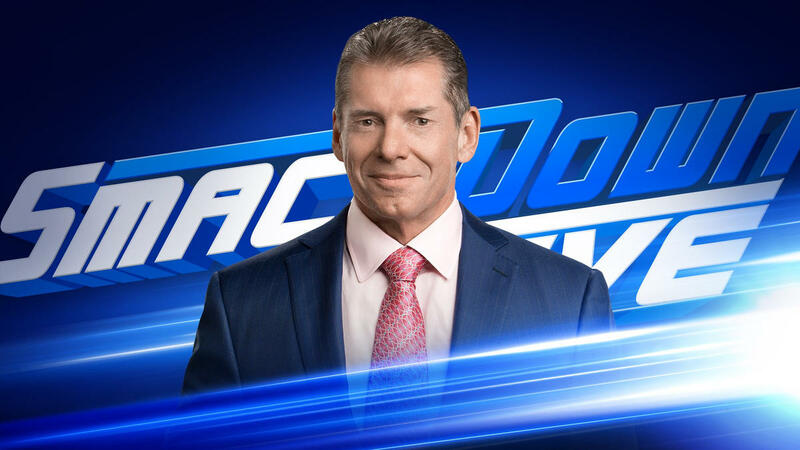 The mystery has been heightened by Mr. McMahon, who will be revealing the biggest acquisition in SmackDown LIVE history tonight. Who has the WWE Chairman secured for the blue brand? In addition to Mr. McMahon’s blockbuster announcement, there’s still the rest of the Superstar Shake-up to sort through. A slew of new faces will be showing up on Tuesday night, changing the landscape of SmackDown LIVE. What new arrivals will make their presence felt tonight? 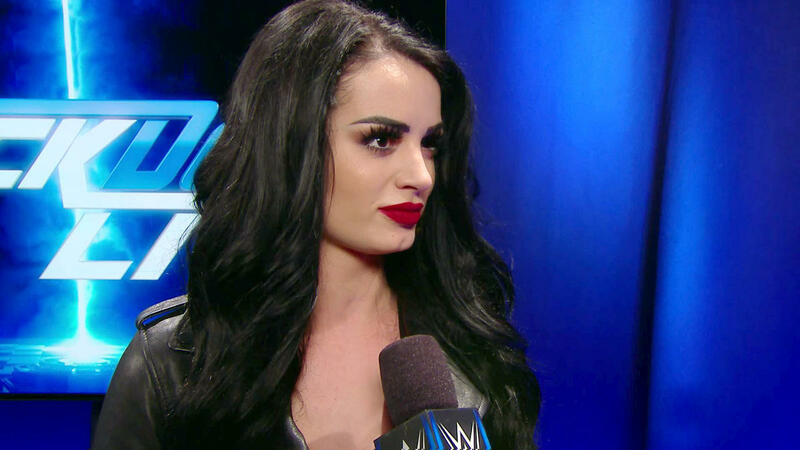 Last week, Paige revealed that not only has she been keeping an eye on WWE Women’s Tag Team Champions The IIconics, but she’s also ready to unleash a new tag team of her own. Just who does Paige have in her camp? 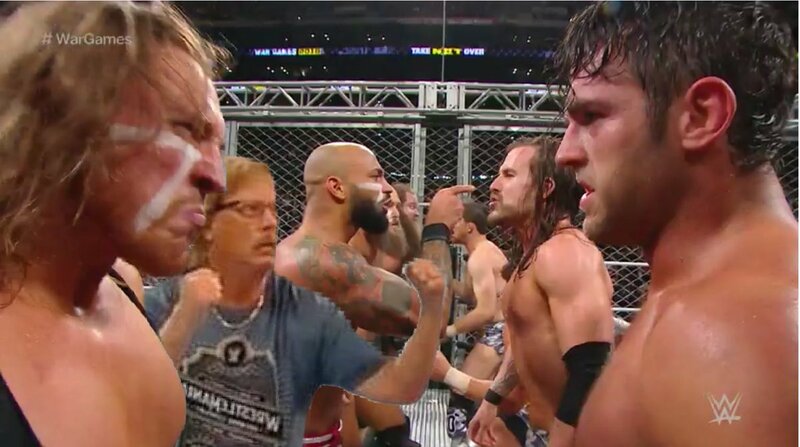 WrestleMania is in the rear-view mirror. The celebrations are over. Now, the challenging part of being WWE Champion begins for Kofi Kingston. The Dreadlocked Dynamo got a taste of it last week when The Bar & Drew McIntyre interrupted his celebration with a challenge for a Six-Man Tag Team Match. 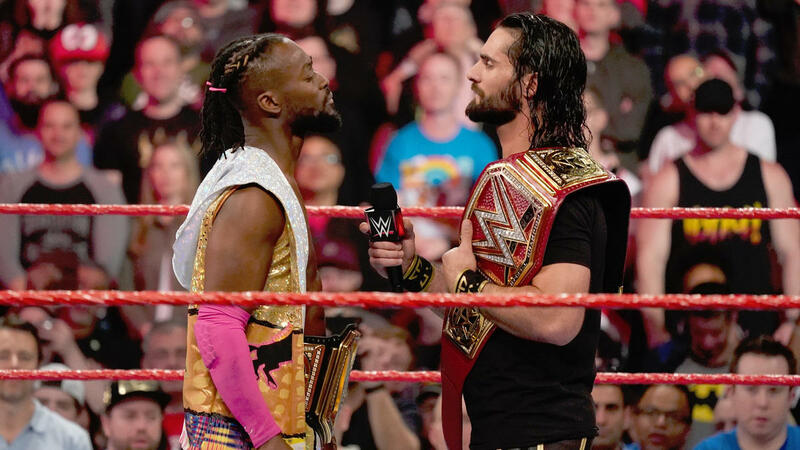 Kofi and The New Day emerged victorious, but what will happen when new challengers emerge to try and take the WWE Championship away from him? The Hardy Boyz took a huge step forward on their quest to become the greatest tag team in all of time and space last week when they defeated The Usos to become SmackDown Tag Team Champions, which marked their eighth WWE tag team title. 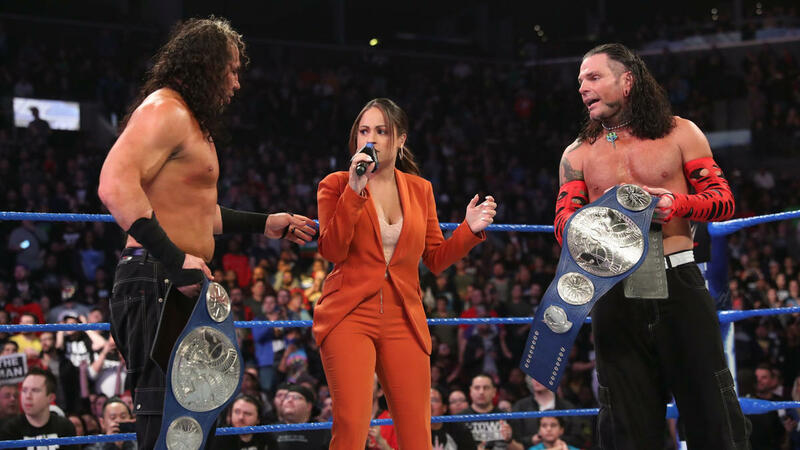 With Raw and SmackDown LIVE being shaken up this week, could a new team arrive to stake their claim to The Hardys’ newly-won titles? Find out when the Superstar Shake-up continues on SmackDown LIVE, tonight at 8/7 C on USA Network! Live on Raw, the two-night WWE Superstar Shake-up kicks off, and the entire landscape of WWE begins to change. Where will your favorite Superstars land? The first-ever international WWE Superstar Shake-up begins tonight as Raw emanates from Montreal, Canada. 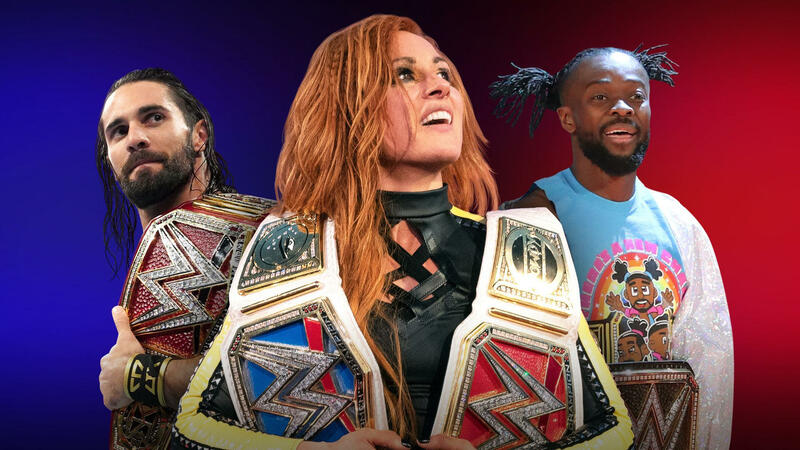 With new champions crowned at WrestleMania and so many up-and-coming Superstars – including the bold Lacey Evans and the hulking Lars Sullivan – looking to stand out in the crowd, just about anything can happen this week on Raw and SmackDown LIVE. Will Raw’s champions bring their titles to Team Blue? What rivalries will begin as Superstars come into conflict with new adversaries? Whatever happens during this epic two-night event, you won’t want to miss it. New Raw and SmackDown Women’s Champion Becky Lynch repelled an attack from Lacey Evans on the Raw after WrestleMania, but The Sassy Southern Belle’s assault made a greater impact on SmackDown LIVE, where a Woman’s Right seemed to take the fight out of The Man … if only for a moment. How will Lynch respond to this new threat? The Bar spoiled the Winner Take All Match pitting new Universal Champion Seth Rollins against new WWE Champion Kofi Kingston – but The Beastslayer’s willingness to put his title on the line one night after vanquishing Brock Lesnar at WrestleMania nevertheless proved that he’s the type of champion he’s always said he would be … and everything The Beast Incarnate was not. Rollins will bring the Universal Title to Raw for the Superstar Shake-up, and with competitors shifting brands over two nights, the list of potential foes for The Architect changes as well. 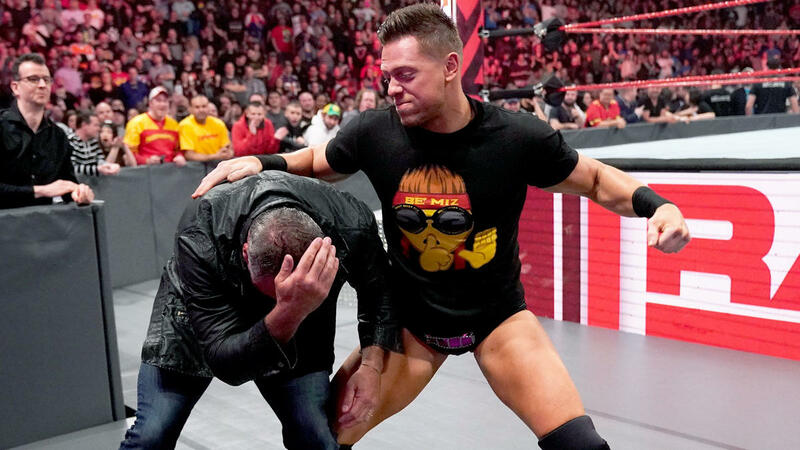 Bobby Lashley’s Intercontinental Championship loss to Finn Bálor at WrestleMania has made the already aggressive All Mighty even more dangerous, as witnessed by his utter mauling of Dean Ambrose during The Lunatic Fringe’s final night in WWE. Who will be Lashley’s next target? 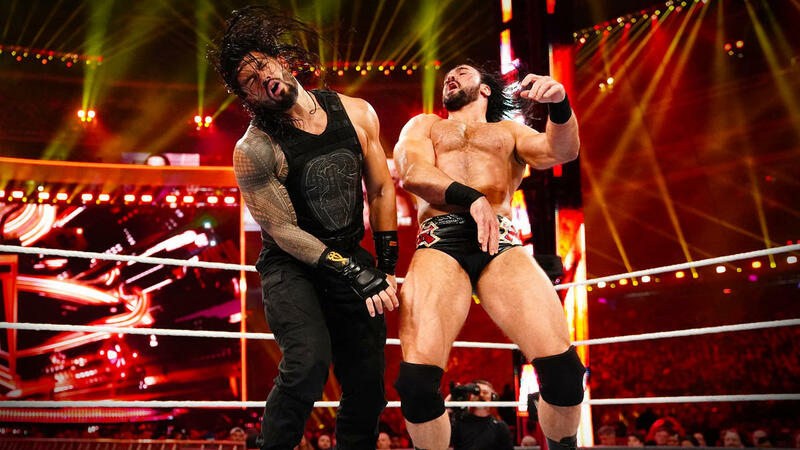 Defending both Monday Night Raw and the honor of his family, Roman Reigns defeated Drew McIntyre in a brutal match at WrestleMania. After Reigns succeeded against The Scottish Psychopath in his first singles match since his battle with leukemia, the WWE Universe anxiously awaits his next move. 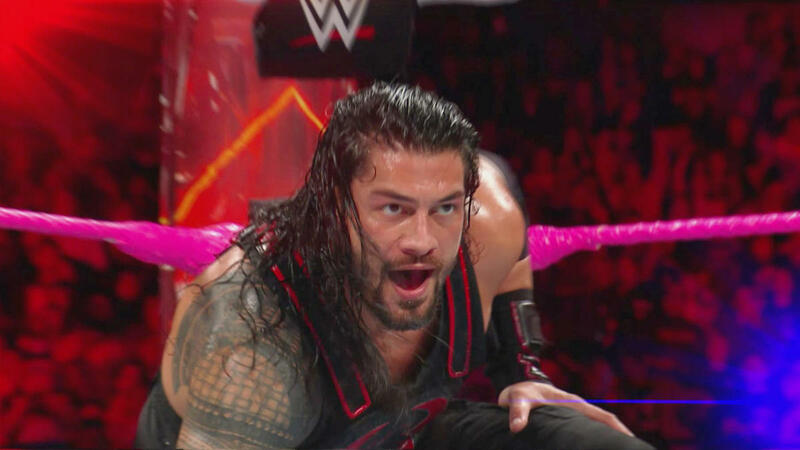 Will Reigns look to challenge his Shield brother Seth Rollins for the Universal Championship — the very title he was forced to relinquish in October — or does he have another conquest in mind? Don’t miss any of the action on the first night of the Superstar Shake-up, live at 8/7 C on USA Network. ...just give her the damn tag. Despite how poor both the RAW and SmackDown Live after Mania episodes were, I'm surprisingly looking forward to the superstar shake-up tonight. 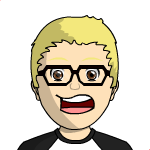 A few predictions: AJ Styles, Becky Lynch or Charlotte Flair to RAW. Boss 'n' Hug Connection and Drew McIntyre to SmackDown Live. Definitely think Aleister Black and Ricochet will get split up as well. I think we'll also see Pete Dunne and the Undisputed Era arrive. I’m hoping Bryan, Orton and Styles stay on SD. In fact most of SD’s top guys deserve to stay put tbh. Also keep Reigns & Strowman on RAW, don’t wanna see them on SD running through the entire roster tbh. Hopefully something like this to change up both rosters,and after this week their need to be a hard split by which I mean no more jumping between brands and also shouldn't mention what happens on the other show.I think the big moves should be Kofi,Orton,Joe & Sheamus going to RAW and Smackdown getting Rollins,Brock,Balor & Lashley. Orton & Braun are the two biggest names to switch brands I bet. Honestly, unless talent will be moved to NXT/NXT UK, I’m not looking forward to this. More call-ups in an already crowded main roster. Ugh. I don't know but that setup ought to have been built outta tp, looks like crap. Hate that thing! Steph reppin the acid wash. respect. It feels right that all of the McMahons are heels now.